Katie Derham presents, with live music from pianist Angela Hewitt and baritone Roderick Williams alongside pianist Andrew West. Plus choreographer Richard Alston. Katie Derham presents a lively mix of music, conversation and arts news. 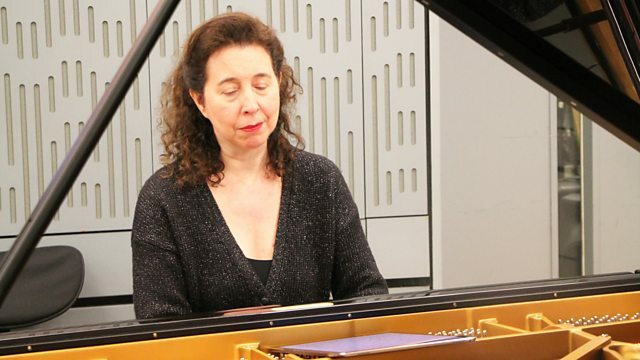 Pianist Angela Hewitt plays live in the studio and looks forward to her recital at the Royal Festival Hall tomorrow. We also hear from choreographer Richard Alston about his project set to Brahms's Hungarian Dances, and baritone Roderick Williams sings live for us alongside pianist Andrew West, before recitals in London and Sheffield. Performer: Martynas. Performer: Laurence Unglass. Performer: Toby Lee. Performer: Gav Broom. Performer: Max Baillie. Performer: Jim Nordern. Ensemble: Duo Tal & Groethuysen. Grainger: The Grainger Edition: Various Artists. Performer: Yuri Zhislin. Ensemble: Russian Virtuosi of Europe. Performer: Roderick Williams. Performer: Andrew West. Ksenija Sidorova - Classical Accordion. Conductor: André Previn. Orchestra: Pittsburgh Symphony Orchestra.